Penny Homes are excited about the new house and land packages we have on offer at Huka Falls Rise, Taupo. If you’re looking for a hassle-free building experience, these home and land packages might just tick all the boxes. Huka Falls Rise is a stunning development interspersed with lovely gardens and vineyard. Only 5 minutes from Taupo CBD, the house and land packages we have secured for you offer a quiet and tranquil lifestyle in a beautiful area of the Waikato region. Not only will you be part of a new community, you will also have the luxury of being at the gateway to countless outdoor activities. In a nutshell, you get new homes, small sections which are easy to maintain and a safe/secure location (Huka Falls Rise has a body corporate etc.) all without the hassles so many would associate with establishing their new family home. To give you an idea of what your life could be like at Huka Falls Rise, we have not only secured some of the best Taupo house and land package deals, we also have a brand-new Taupo show home underway at this exclusive development. Our third show home will be ready to view in mid-May so watch this space for further updates. Regardless of whether it’s in Taupo or Wellington, Penny Homes offer a one-stop shop with our house and land packages. We have a number of set designs/house plans you can choose from to build on your section. Our friendly team will be happy to take you through your different options and answer any questions you may have, making the whole building experience hassle-free. Our affordable sections at Huka Falls Rise range in size from 401m² to 468m² and will make a great place for your next family home. 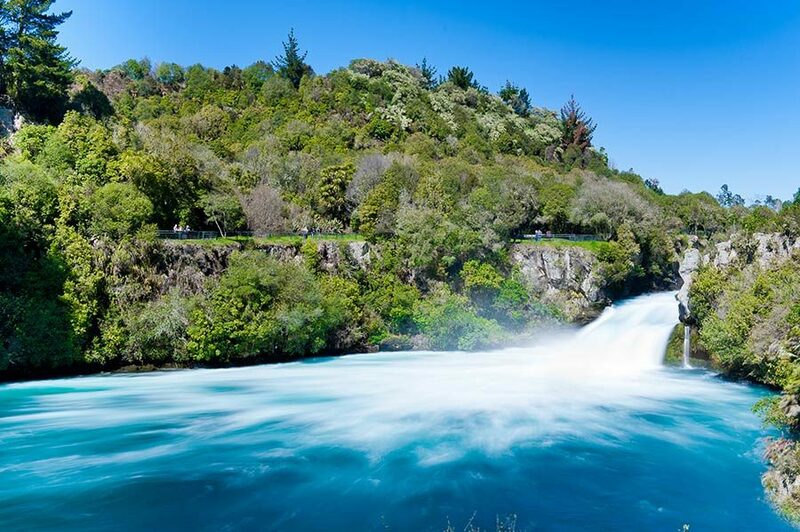 If you desire a peaceful lifestyle within easy reach of both an urban centre and the great outdoors, look no further than Huka Falls Rise. To find out more about our home and land packages, contact our sales team today!